The latest multi-year deal, following rival Rogers Media’s NHL rights agreement, underlines the importance of live TV sports to Canadian broadcasters. As part of Playback‘s annual Best of the Year list, we look at the new CRTC chairman’s track record of turning regulatory decisions into front-page news. Research released by the Canadian Interactive Alliance shows revenues in the industry rising but the number of full-time jobs isn’t keeping pace. Eighteen projects, almost half of which are youth-focused, are given a cash injection by the Canadian Media Fund. Three Toronto digital developers and one from New Mexico will work to develop “the next mega blockbuster” in the field of wearable technology. The Canadian sports broadcasting talent landscape is set to shift with the announcement of the landmark hockey deal. Rogers Media exec and past Olympic Consortium president Keith Pelley discusses the broadcaster’s multi-platform advertising model. Executives from some of Canada’s top media and sponsorship agencies comment on the impact the new deal will have on the advertising and competitive landscape. The multiplatform coverage for music’s big night aims to exploit the media group’s varied TV, radio, print and online brands. 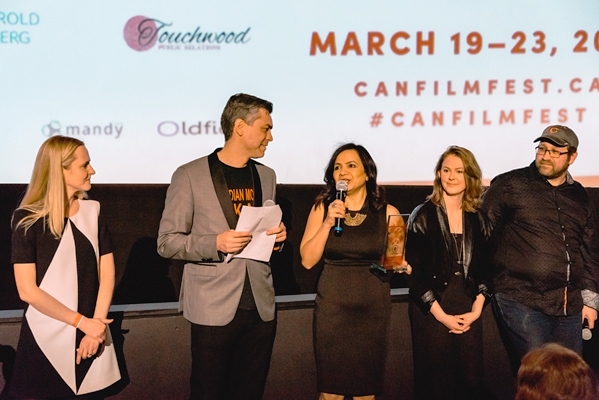 The Canadian Film Centre’s business bootcamp rolled out its latest cohort of digital entertainment start-ups in Toronto. The free mobile and desktop app will allow for live and on-demand viewing. Working with P&G’s Febreze brand, the media co is offering custom on-demand programming through VOD and its Global Go app aimed at helping people get to sleep.